Dashiell Driscoll of Funny Of Die preparing “analog tweets” for Marfa Film Festival attendees, June 2013 (KRTS photo). 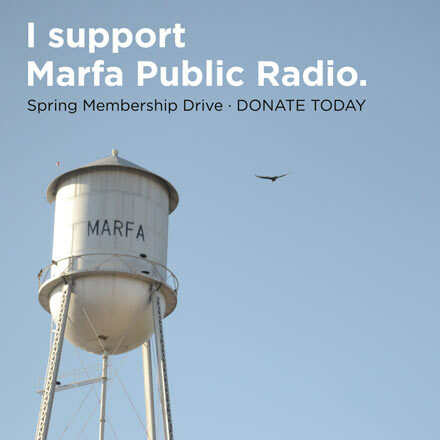 During the Marfa Film Festival, KRTS visited the Marfa Thrift Store where the comedians from Funny Or Die were offering ice cream sandwiches, tequila drinks, and jokes for the patrons to the Marfa Film Festival. It was billed as a humorous antidote to the heavier themes of the documentaries and features at the film festival. Listen to the clip above to hear Executive Director Betsy Koch and comedian Dashiell Driscoll, seated in the display window, taps out “analog tweets” on a manual typewriter. 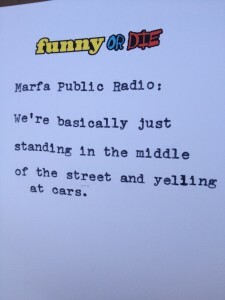 The “Funny or Die Happier Hour” is at the Marfa Thrift Store on Highland Avenue on Friday & Saturday nights (June 28 & 29), 6-8 PM. 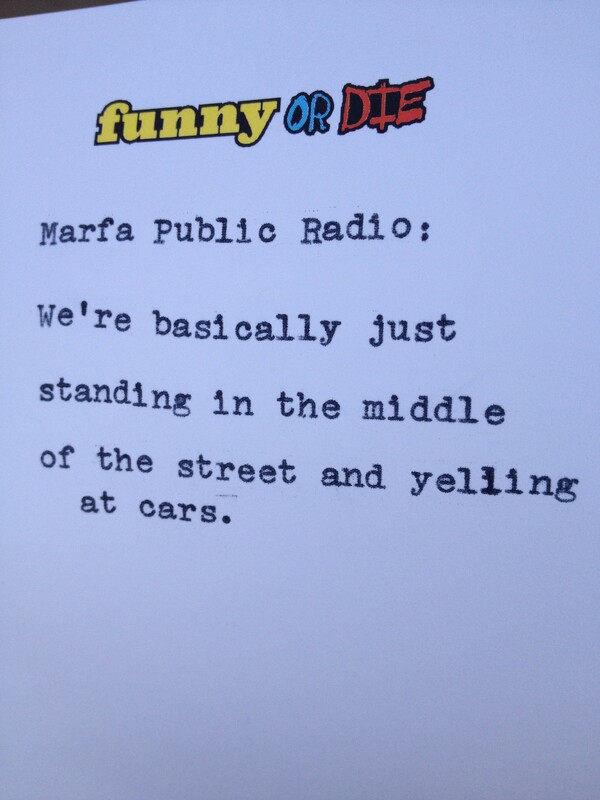 “Analog Tweet” customized by Funny or Die for Marfa Public Radio. See earlier KRTS interview with Betsy Koch, the Executive Director of Funny Or Die.